The following article was written by Mike Wicks; he is currently an author and ghostwriter, but in his early career he was a professional salesman. He has developed dozens of sales and marketing courses and delivered hundreds of hours of sales and marketing training during his career. He is also an adviser with University of Victoria's Innovation Centre of Entrepreneurship. 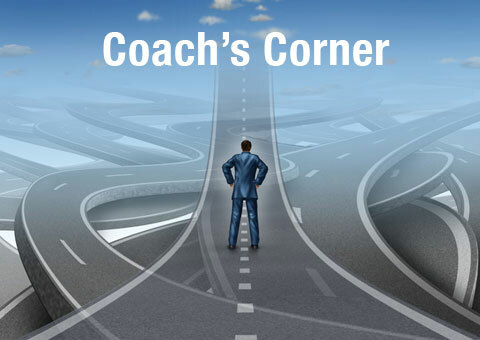 "Finding Common Ground" is the second in a series of articles in which he shares with readers his secrets of sales success. The first "Secrets" article was published in this publication in March, 2018. 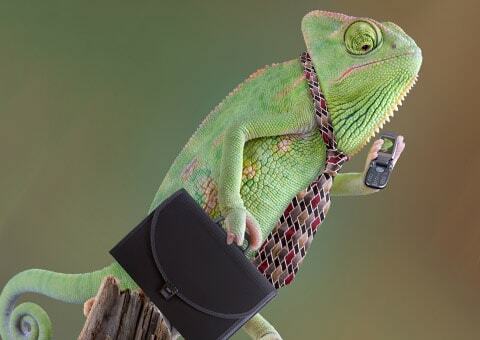 In my first "Secrets of a Sales Rep" article I talked about the value of becoming a chameleon when selling. I failed to mention this last time, but it doesn't mean you should be devious, or try to fool someone into thinking you are something you are not. It's about respecting people enough to find some common ground. I also promised you some examples and here's one that illustrates my point well. Many years ago one of my customers was a Mr. Taylor, an older gentleman, who ran a Methodist Bookshop in a northern English town. Now, in those early days of my career I worked for a somewhat second rate softcover publisher and a significant percentage of what we sold was certainly not suitable for a religious bookshop. I remember titles such as: My Bed is Not for Sleeping; My Carnal Confessions, and Confessions of a Window Cleaner. My predecessor had given up on this account, but I was young and keen to prove myself. I visited Mr. Taylor every sales cycle and he was good enough to look through my new offerings, but only bought an occasional western novel, or something from our small non-fiction list. Financially, it was never really worth my while, but I liked him and in my book, and order was an order. Over several visits I noticed that he nearly always had a magazine about music systems on his desk. I decided I'd buy a copy of the magazine and see what he was interested in and discovered a whole new world of hi-fidelity equipment I never new existed. During my next visit I commented on the newly released Bang and Olufsen system which was featured on the front cover of the magazine on his desk. I had read up on this new system and knew enough to hold a brief conversation about it. There is a value to living in the moment – to being focused on one thing at one time. Thich Naht Hanh the Vietnamese Buddhist comments that when you are doing the dishes, do the dishes. The idea is that focusing entirely on one thing is beneficial both in terms of your effectiveness and your mental energy and happiness. Often we put ourselves on auto-pilot when we are doing a mundane job, or one that we don't particularly enjoy. By completely focusing on it, mindfulness practitioners tell us we will be content in the moment – neither living in the past or fantasizing about the future. Most people think they are good at multi-tasking but in reality, they are not. Try this exercise: recite the alphabet as quickly as possible. Easy yes? It probably took about ten seconds. Now count out loud from 1 to 26 as quickly as you can. Again, not difficult and you probably managed it in less than ten seconds. Now, try to combine the two; that is recite A1, B2, C3 etc. as fast as you can. Not so easy is it? You probably got frustrated and didn't even manage to finish – good for you if you did! The point is that it is far more difficult to combine two simple tasks than to focus on them individually. Sure, you may have managed it, but how much longer did it take you? If it was longer than 20 seconds it would have been better to carry out the two tasks separately. If you found combining two such simple tasks together difficult, what hope do you have of being efficient, accurate and effective at combining several complex tasks? Sure, it's possible, but at what cost? Think about multi-tasking while driving – yes, we're referring to using your cell phone behind the wheel of your car. One in four car accidents in the U.S. is caused by someone texting – it's about the same in Canada. Almost 3,500 people were killed in 2016 due to distracted driving and there were 421,000 crashes resulting in injury. So, yes most of us can and do multi-task but is it really effective or wise? In many cases it's actually multi-handling which wastes time. Multi-tasking has also been found to be stressful and to diminish creativity. A study was carried out which discovered that people who use their cell phone while driving take longer to get to their destination! Experts suggest that batching similar tasks is much more efficient than multi-tasking because you get into a specific mindset and you make less mistakes and miss less. 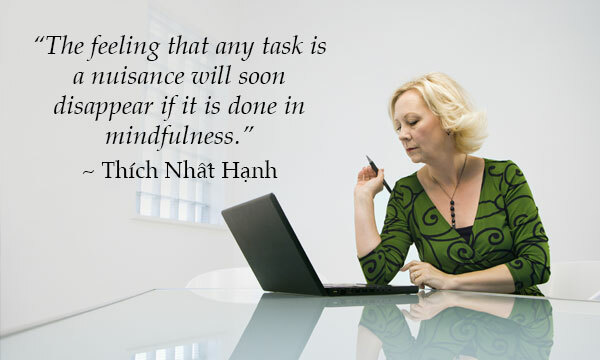 Try practising mindfully focusing on one thing more often and multi-tasking less frequently and see if you achieve more! Perhaps mindfulness will become the new "in" technique for entrepreneurs; if it does, we can expect an increase in productivity. And, no, don't check your phone right this minute! What is your communication style? How does it work for you? How can you be more effective in your communications? There are essentially 4 types of communication styles: Passive, Aggressive, Passive/Aggressive, and Assertive. When we are passive in our communications, others do not really know what we are thinking or what we want. We may feel taken advantage of, not respected, and overlooked when decisions are being made. In the end, we may find ourselves unable to communicate our thoughts, feelings and desires effectively. Are we really meeting our needs when we communicate passively? What are we avoiding when we do not actively communicate? Although others know what we want with an aggressive communication style, their reactions may be varied. Some will see it as bullying behavior coupled with an element of fear, while others may feel a resentment and anger. Often negativity and resentment may ensue. While we want others to know our thoughts and ideas, aggressively communicating them doesn't always lead to what we hope to achieve. How have we benefited from communicating aggressively? How has it hurt us? If it has hurt us more than it has been beneficial, what is our new strategy for engagement? Passive/Aggressive communication combines the two styles. At times we appear timid and avoid communicating our wants and needs, while at other times we are aggressively pursuing them. This can cause confusion in the minds of others and often results in lost credibility. How does being passive at one point and aggressive at another time serve us? How do we effectively and consistently convey our thoughts? Being assertive in our communications, shows others clearly what we need and desire. This style expresses our clear expectations with a respect for and consideration of others. When we are assertive in our speaking, we benefit by developing a feeling of trust and confidence with others. If this is not our predominant style, then what can we do to change that? How can we adopt a more clear and thoughtful communication style? We are in charge of our communication style. We can change it when we are mindful of the situation and what it requires of us. In every situation, we need to challenge ourselves to ask the question, "how do I show up in this conversation or meeting?" What style of communication will work best for me?